PostNL is an indispensable link between senders and recipients of mail and parcels. Currently, the company is in a transition from a traditional postal company to a postal and logistics e-commerce service provider. PostNL has 49,000 employees and is active in thirteen countries. One brand, 49,000 employees and various business units make it a challenge for PostNL to create an unambiguous brand. The communication department was looking for a solution in which a wide range of users can use all materials (such as photos, logos and texts), while guaranteeing the brand identity. 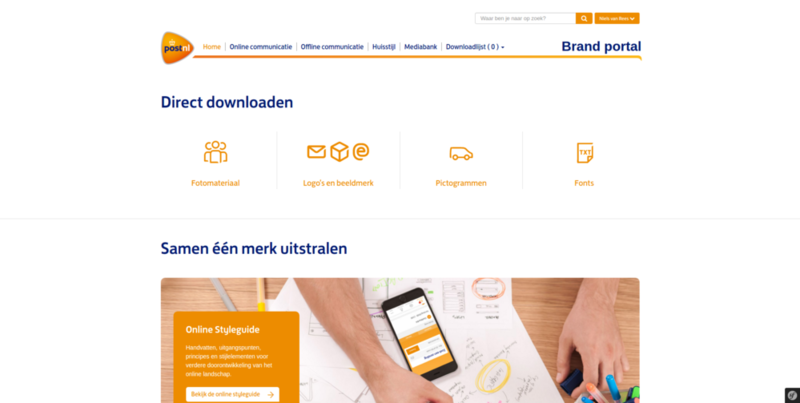 Thanks to Marvia's Brand Management Software, PostNL now has a web-based brand portal where users have access to all brand assets. Also, the digital corporate identity guide also provides practical instructions on how to deal with the brand. This prevents incorrect or old logos and fonts from being used and reinforces the brand experience. In the environment, both online and offline materials are available for multiple devices (mobile responsive). The communication staff has the possibility to manage and update the available content. Curious which customers also use our Brand Management Software to preserve their brand identity?